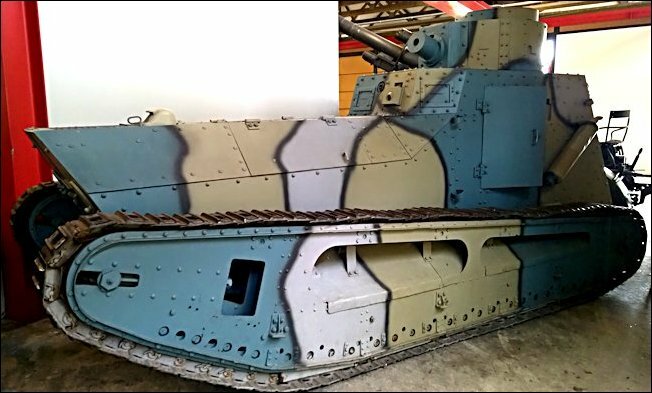 This WW1 German Leichte Kampfwagen LK II light tank can be found at the Deutsches Panzermuseum in the small military town of Munster, Germany. The German words Leichte Kampfwagen translates to light fighting wagon = light tank. By the end of World War One the German army realised that they needed a smaller, lighter and faster break out armoured vehicle. Their large heavy Sturmpanzerwagen A7V was to slow and cumbersome. It was ideal for smashing through the Allied defensive lines of barbed wire and trench systems but once the breach had been made they needed a vehicle to take the role of the Calvary. They wanted a vehicle that could find enemy supply depots and artillery battalion behind enemy lines and destroy them. This was in fact what a British Whippet armoured tank of the 3rd Tank Brigade actually managed to do on 8th August 1918. It broke through German lines and caused havoc for nine hour. It hunted any enemy target it could find and shot it up. These included a German HQ post, Transport supply column, an artillery battery and an observation balloon. This ability is what German High Command were looking for when they ordered the production of the Leichte Kampfwagen II (LKII) light Tank. The two pear shaped disks on the front of the Leichte Kampfwagen LK II light Tank are armoured headlight shields. The sloped frontal armour was designed to help it get up ditches not deflect enemy shells. The German engineers used a commercially available Daimler Chassis as the basis of their new weapon. They retrofitted it with armour plating and added a caterpillar tracked system to the wheels. Because this light tank was based on a production vehicle the engine was in the front and the fighting compartment had to be built up in the rear. This gave some additional protection for the Tank crew as the Engine block was between them and any incoming anti tank shell. Initially the Leichte Kampfwagen LK II was going to be armed with a 57mm cannon in the 360° turret and a 7.93mm machine gun in the hull. 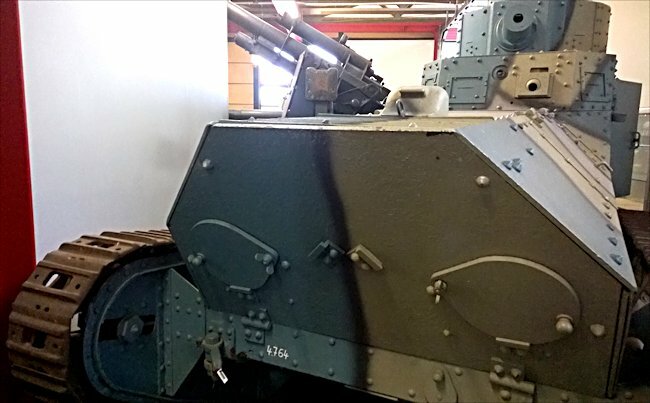 The gun was tested in the turret on 29th August 1918 but it was found to be too powerful and deemed unfit for installation in a light tank. 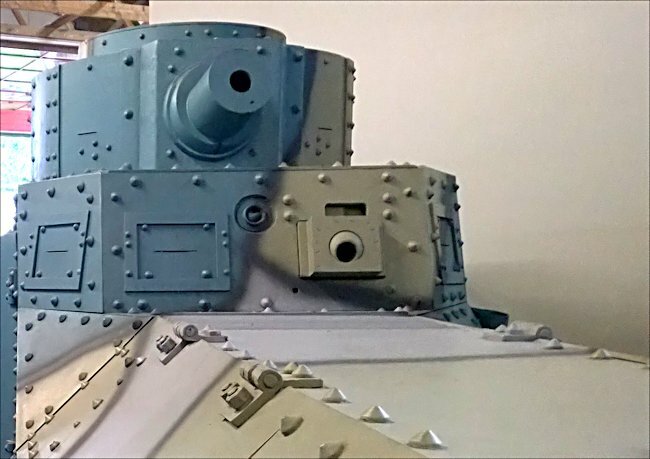 It had a strong destructive effect on the LK II tank's armoured chassis. For this reason the smaller 37mm Krupp Gun was trialed in the tank. This was also not successful so the LK II tank was refitted with machine guns. The massed supplying of German front line troops with Leichte Kampfwagen LK II light tanks to over run the Allied trench defensive lines never happened. World War One ended before they could be properly tested under battlefield conditions. They never became involved in a tank on tank action. The Leichte Kampfwagen LK II tank was armed with a 37mm Krupp gun. The Germans were banned from owning armoured vehicles under the terms of the Armistice. They sold their Leichte Kampfwagen LK II light tanks to Hungary and Sweden. They were dismantled and boxed up for shipping. The labels on the outside stated that the contents of the boxes contained agricultural Tractor parts. Fourteen Leichte Kampfwagen LK II Light tanks remained in service with the Hungarian army until late 1930s. The Swedish army renamed the tanks and called them Stridsvagn m/21 (Strv m/21). They were in operational service with the Swedes up until 1938. No Hungarian versions of the tanks survived. The Swedish Tank Museum called the Arsenalen just outside of Stockholm, has three LKII light tanks. One is in a bad condition and is used for parts. It is held in storage. Another, shown in the photograph, below is the Stridsvagn m/21-29 (Strv m/21-29) variant of the LKII that was upgraded with a new engine in 1929. Headlights were added to the front of the tank at the same time. 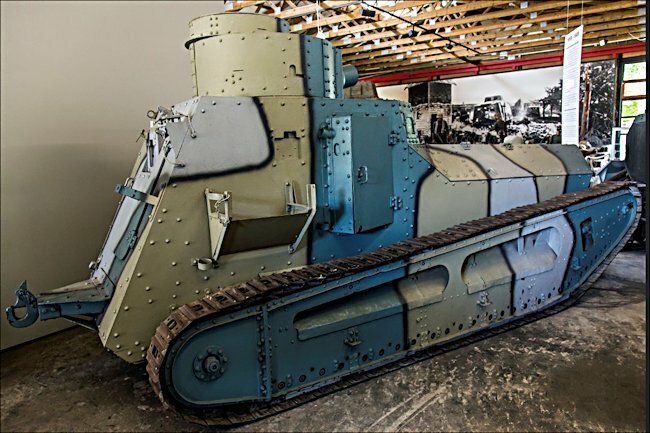 The Swedish Tank Museum have a third that is the only example of a 1918 German LKII tank that has not been seriously modified: the Stridsvagn m/21 (Strv m/21).